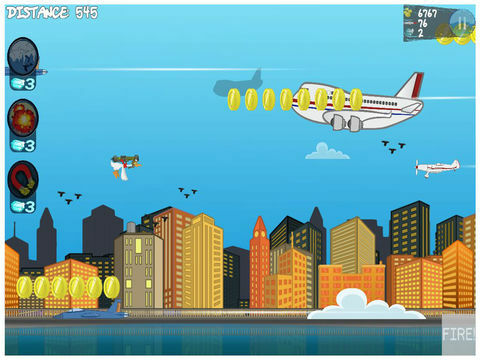 The stakes are high in this high flying bird adventure. 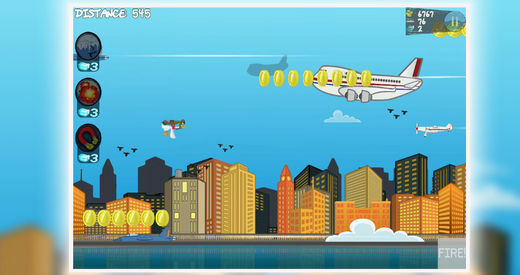 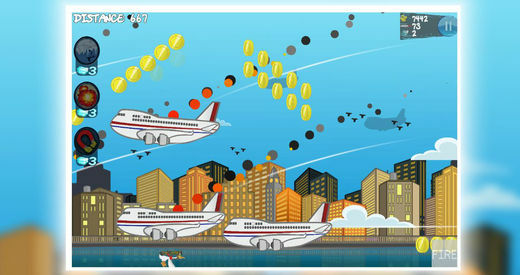 Fly along the city scape and avoid airplanes and heat seeking missiles flying in your airspace. 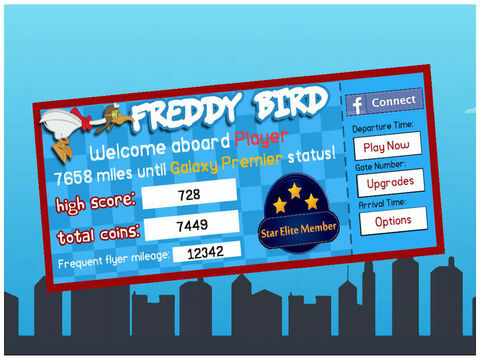 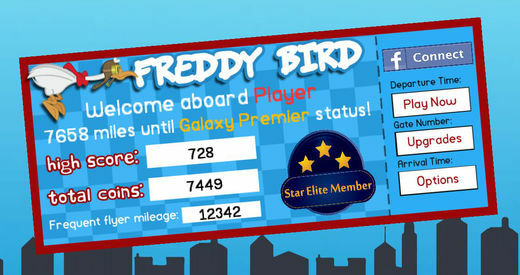 Arm yourself with rocket launchers in your bid to gain the furthest distances in this action packed game and use your frequent flier miles to buy upgrades. 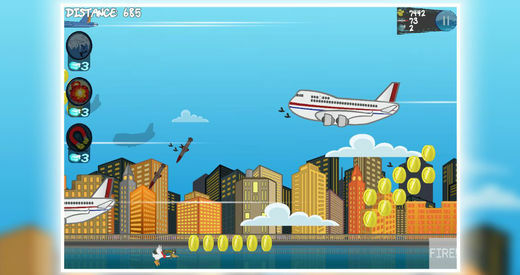 Be very careful, or a collision will put you and the aircraft into the Hudson.